Join the American Iron and Steel Institute and Steel Manufacturers Association as we continue our partnership, and address key issues that keep manufacturing strong in America. Attendees and participants at the AISI and SMA joint conference include: member company CEO's, top Administration officials, Members of Congress, and industry and market experts. As a whole, the steel industry is clearly operating in a dynamic political landscape. 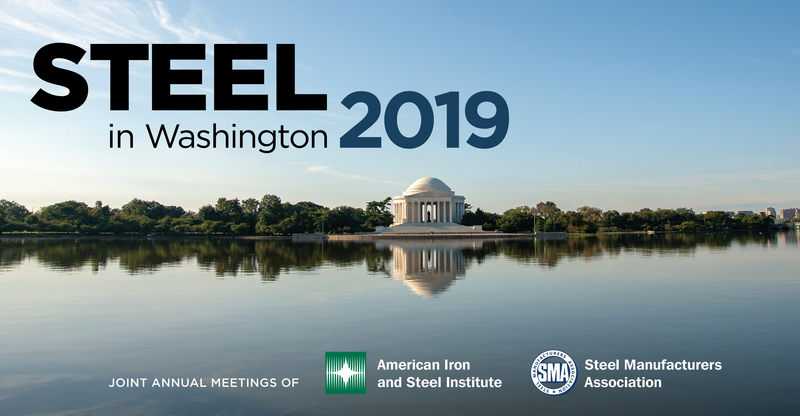 Join AISI and SMA for the only steel industry conference, specifically focused on public policy implications and issues facing the North American steel industry. Our speakers and attendees are positioned to share ideas and provide key insights into current North American steel market trends.